Given the amount of personal data on the dark web, companies are facing increased fraud losses from account takeover and application fraud. At the same time, customers want onboarding and authentication processes—especially on mobile devices—that are secure, fast, and easy. Technologies such as mobile document capture are offering companies a new approach to protecting their organizations while reducing customer friction, and they're especially powerful when integrated into a comprehensive identity verification and authentication solution. 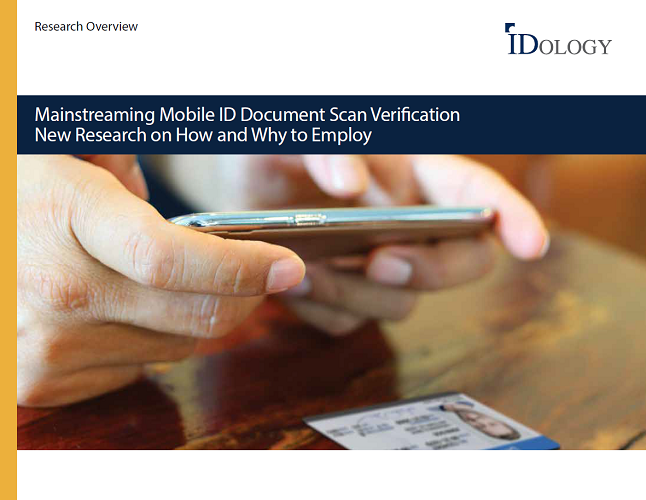 Download this research overview for data that indicates that mobile ID document scan technologies have crossed the chasm to being ready for mainstream use, as well as what companies should look for when choosing a document scan solution and how companies can get the most out of their investment in scan technologies.